our freedom, today, yesterday, and tomorrow. They are the real hero's of this country. Today and everyday, we thank you for your service. please make sure to thank them. So very important! My dad is a veteran who served eight years in the Navy and my husband is also veteran of the gulf war, we owe our service men And women everything! Wonderfully said! So thankful to all of our veterans! Well said! They deserve a day of recognition and well lots more. Veterans day always holds a place in my heart thanks to my Dad. Hope every service person gets recognized today! So perfectly said! 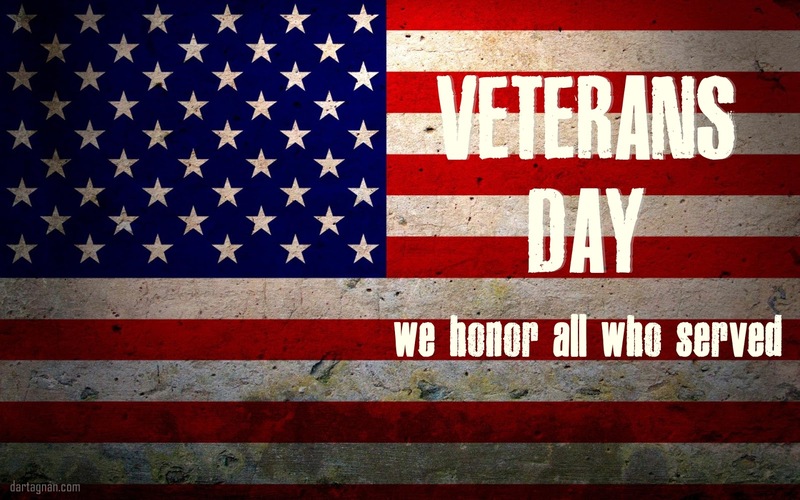 We can't say thank you enough for our veterans service to our country.